CLARKSDALE, MS (KTRK) -- A photo taken during nap time at a Mississippi school is going viral for all the right reasons. 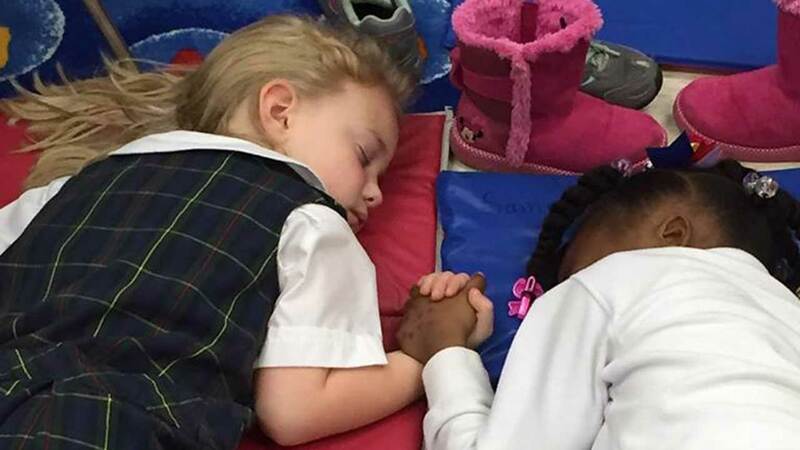 The picture shows a two young girls, a Caucasian and an African-American, holding hands while sleeping on their mats in a classroom. It was taken at Presbyterian Day School in Clarksdale, Mississippi. The Facebook post features a bible verse from 1 John 4:7 that reads "Beloved, let us love one another, for love is from God, and whoever loves has been born of God and knows God." The post has been shared nearly 2,000 times.